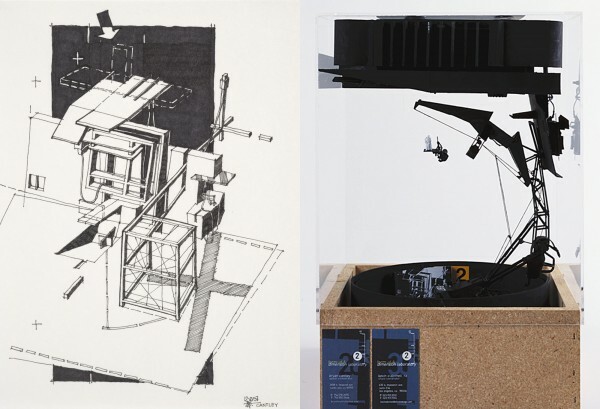 Sometime in the winter of 2001/2002 I saw the ORGANIC/INORGANIC Selections from the Permanent Collection of Architecture and Design show at SFMOMA, in which the work of the L.A. artists Form:uLA Dimension Laboratory particularly struck me. The strangely assembled, sleek black forms felt other-worldly, unbuildable, and slightly menacing, like insects ready to pounce or a heavy domino about to fall. The drawings and models were framed as potential set-designs for what would supposedly be an upcoming Batman movie. This fired the imagination and even sounded possible, in part because around this same time director Darren Aronofsky had been somewhat secretly working on preproduction for a Batman movie. It was to be grim street-level film drawing inspiration from Martin Scorsese’s Taxi Driver, and with a script based on Frank Miller’s Batman: Year One. Some of the concept art that was produced for the movie was recently made public; unfortunately the film was ultimately canceled on account of its being too violent and not suitable for a PG-rating. Concept art for Darren Aronofsky’s cancelled Batman: Year One project. Beyond the context of a Batman film, architects Bryan Cantley and Kevin O’Donnell were trying to both explore and convey the idea of presenting architectural forms as something transcending one single form set in time and space, and more as a series of optional ways for forms to fill space, a sort of representation of a collection of possibilities. “They do not represent OBJECT as much as they represent OPTIONS. The presentation of the series of models was thought to be a stream of one idea merging with many”. The work feels expansive in its exploration of form: black plastic beams stretching out as connective tissue, hinting at some supposed real-world function, while empty space demonstrates impossible constructions and fictional realities. By linking the work to the Batman mythos, it also inadvertently connected this series of pieces to the idea of the transcendental Batman, the modern day symbolic demigod whose iconography one can find everywhere. But in its comic book roots, writers and artists continue to use this fiction as a means of exploring a wide variety of “options” in both storytelling and characterization. 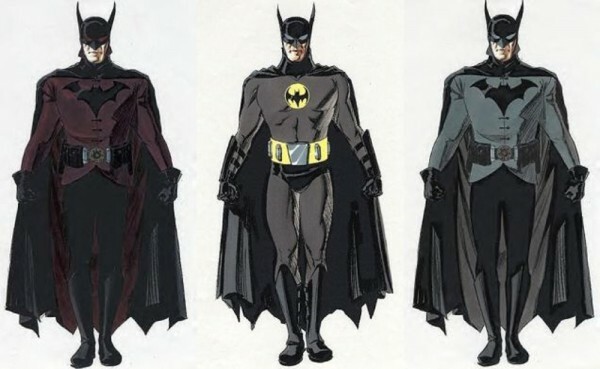 Most notably, contemporary writer Grant Morrison argued that every Batman story, no matter how strange, goofy, or bizarre, “happened” to the same individual, that all these “options” were valid. Instead of characterizing this individual as insane, Morrison presented the concept that the “idea” of Batman was alchemically greater than all its parts, that the self-development of a variety of personalities allowed him to stay sane in the face of trauma and chaos. Beyond the individual personality of Bruce Wayne, the symbolic “Batman” identity was a role that others could take on. It was human potential developed to its greatest apex: a body trained to perfection, a mind trained to perfection, but still intrinsically human. Batman was an idea that could never die, and will continue on beyond Bruce Wayne, beyond any flesh and blood person. 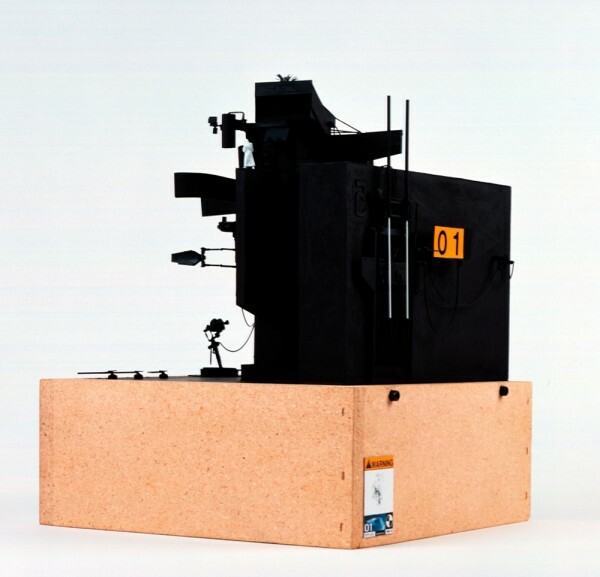 It was an idea transmitted both by artists and storytellers, and by audiences and observers. 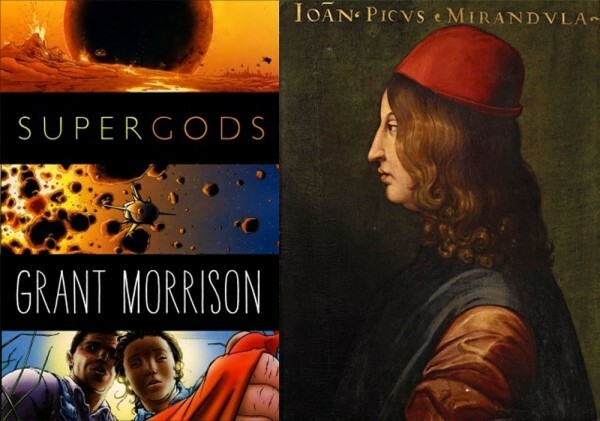 Left: The cover of Grant Morrison’s Supergods; Right: Cristofano dell’Altissimo’s portrait of Giovanni Pico della Mirandola (copy of an unknown original). An interesting tangent: the most recent Batman film just wrapped production, and apparently the director was inspired to donate the sets to be repurposed as bat-houses for bats threatened by a disease called “white nose syndrome.” It’s hard to ascribe motive to such an act. 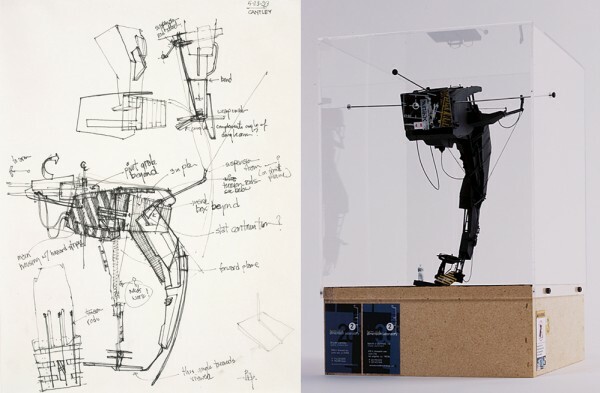 But I like think just working on a project focused on aspirational characters inspired the director to take these transitory and ethereal architectural models (writ large) and transform them into practical aid for animals as well as awareness- and fundraising tools. Apparently the accompanying PSA has already helped raise $14 million for bat conservation. Leef Smith grew up in ’70s hippy San Francisco with hand-made clothes, a vegetarian diet and progressive politics, as well as Legos, Star Wars and comic books, starting with Tintin. Later he was drawn into contemporary mainstream comics by the X-Men and Crisis on Infinite Earths, and the rich complexity they offered. In 2009 he opened Mission: Comics & Art, a comic book shop combined with an art gallery.